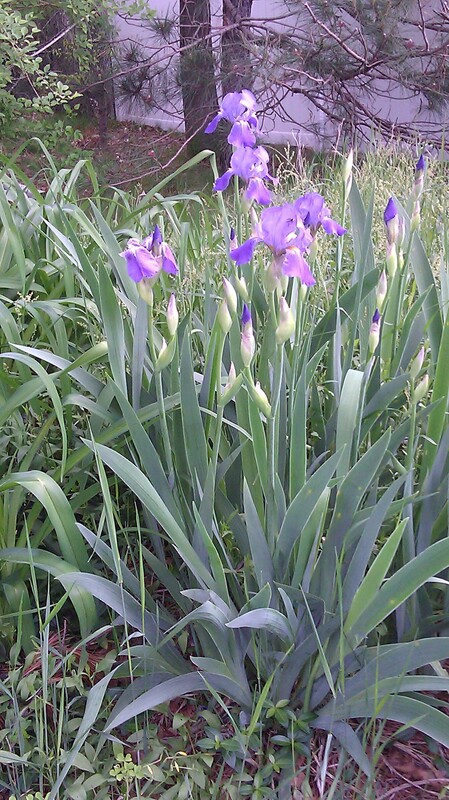 These Bearded Iris plants add inspiration and joy to a writer’s life. If you’re like me, you love to write. Perhaps you’ve created a blog of your own, or you wrote a book. If friends and family are constantly telling you how talented you are as a writer, you may already know how to earn a living with your writing skills. If you have just started down this road, or if you have hit a wall in your career, this article may help. Webinars and Seminars – Check your local newspaper for writing seminars and conferences. You can also check your local college or high school for adult writing courses. Some websites offer free webinars on writing topics from blogging to social media and beyond. Be sure to read the fine print, though, so you don’t end up unintentionally paying for something you didn’t want to accidentally. Many writing websites offer webinars, as well as marketing sites like HubSpot and Social Media Examiner. Libraries – Your local library has a wealth of resources, and the best part is that they are free to use. You can find books and DVDs for writers, as well as writing groups and classes. Most libraries offer computers you can use, too. Websites – One of the most popular sites for writers is Writer’s Digest. They offer a host of free resources and support provided by successful writers and other professionals in the field. They host writing competitions, and you can review past webinars free of charge. For those of you who love to write novels but need a little encouragement, NaNoWriMo or National Novel Writing Month is a must. They offer a virtual summer novel camp, too. Social Media – You can use social media to market your writing, but platforms like Facebook, Twitter, Pinterest and Google+ are also a great way to meet other writers. WordPress has widgets you can add to connect your blog to social sites, so take advantage of this wonderful feature. Just click on “Appearance” in the left hand menu in your Dashboard to select “Widgets.” Choose what you like from there, follow the prompts and you’re on your way. In addition, you can sign up for webinars to learn how to use all three top social media sites effectively. Job Sites – Let’s not forget copy writing, scripting and editing. If you are in between books, or enjoy helping others using your writing skills, you can find some nice little gigs at places like oDesk and Elance. Although it may take a while to build up your profile so you can get the higher paying jobs, these sites are a great way to make ends meet, or even to find some permanent clients. A great writer gets great feedback, and before you know it, you’ll get tons of job offers from these job sites. I strongly advise you to read their policies and procedures in order to avoid being scammed. Blog Sites – We don’t want to leave out the obvious. Places like WordPress and Blogger have opened up the world of writing to many people. A word of caution: Watch out for plagiarism. Every so often, take a few lines of your text and input it into a search engine like Google to see if anyone is using your work. This happens more often than most people realize. Read this article, “How to Avoid Plagiarism on the Internet,” for some helpful tips. Classes – There are many online writing classes and courses that cover a variety of topics in many price ranges, but I particularly like the ones offered by Writer’s Digest. Another great resource is local (and not so local) colleges, because so many of them now offer online studies. Many other writer websites also offer classes and workshops, so do your homework – you’ll be sure to find a class that suits you. Groups – You can check your local library or newspaper for writer’s groups, too. They range from poetry groups, to creative writing groups, to groups where writers critique each other’s work. Another great resource is Meetup, where you can find tons of writing groups in your area, or you can use it to start your very own group. I’m sure I could go on and on about the resources currently available, and I’m sure I’ve missed quite a few, but if you get out there and start meeting other writers, you’ll find exactly what you need. I honestly feel that writers support and nurture each other more than with any other field. Although there certainly may be some healthy competition, true writers recognize the fact that mingling is a good thing. I think this is because in order to become a really great writer, you must read, read, READ. You can’t just read your own stuff; therefore, you need other writers to produce good material, just as much as they need you to do the very same thing, so get writing!